The world is nuts (technical term!!) at the moment…. and it’s not likely to change. 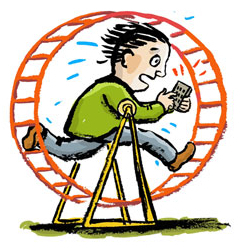 If you find yourself going around the hamster wheel like a loon.. step off and do something different. Sometimes we forget who we are and what we are trying to do… you need a little peace… to piece it back together!